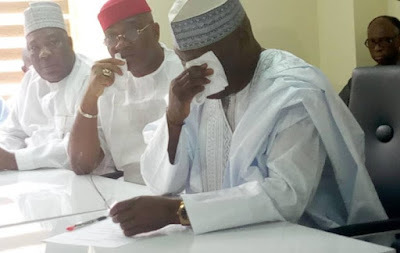 Former Vice President, Atiku Abubakar Friday wept at his Presidential Campaign Office shortly after obtaining his Expression of Interest and Nomination Forms from the Peoples Democratic Party (PDP) headquarters in Abuja. 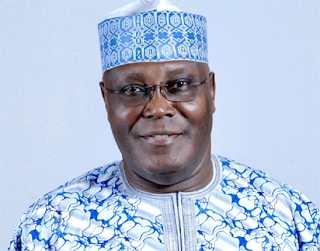 Atiku who was filled with emotions while receiving the forms from the Atiku Support Groups (ASG) which purchased same for him, reiterated his commitment to the Nigerian cause, and promised to do everything possible not to disappoint Nigerians if given the opportunity. Unable to overcome his emotions while a member of the ASG, Princess Adekemi Adesanya was painting in graphic details, the sorry state of affairs in the nation, the former Vice President fought back tears as he sobbed, whipping his eyes with the aid of a white handkerchief. "You could have seen that one of the ladies who spoke virtually succeeded in getting me to weep. This is because she aptly described the challenges every Nigerian is facing in this country today and she believed honestly and sincerely from the bottom of her heart that I could be an instrument of addressing those challenges. “So, for such a woman to believe that I have got those leadership qualities and including those of you who have brought out your monies to by this form, is one of the most serious challenges I have ever faced in my political career. 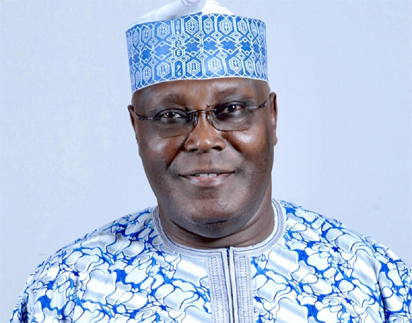 "Putting together such talented ‎young Nigerians requires leadership and it is that leadership we have not been fortunate enough to have on a consistent basis that this country has not been able to take her rightful rightful position in Africa and indeed, the world,” he stressed.